Product prices and availability are accurate as of 2019-04-11 08:40:25 EDT and are subject to change. Any price and availability information displayed on http://www.amazon.com/ at the time of purchase will apply to the purchase of this product. 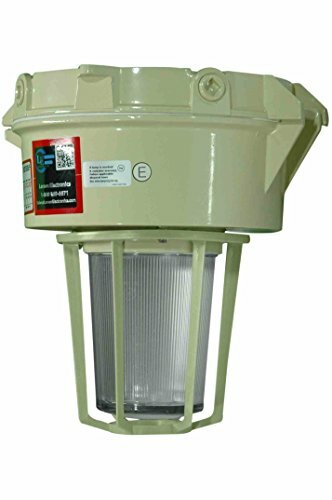 Explosion proof light - 250 watt metal halide -multi-tap - class 2 division 1(-wall-multi-tap). made in the USA the eplc2-250mh metal halide, hazardous area light fixture from Larson Electronics produces 22,500 lumens of light capable of illuminating an area approximately 10,500 square feet in size. Weather proof and U.L. 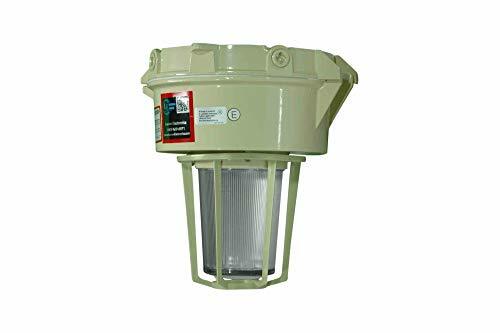 Listed for marine use, this metal halide fixture is available in pendant, ceiling or wall mount versions and is an ideal choice for industrial applications and use in enclosed spaces. The durable eplc2-250mh metal halide fixture from Larson Electronics is approved for use in wet marine locations and is ideal for industrial applications, confined spaces, hazardous work areas and class 1 div 2 areas where a powerful and durable floodlighting solution is needed. 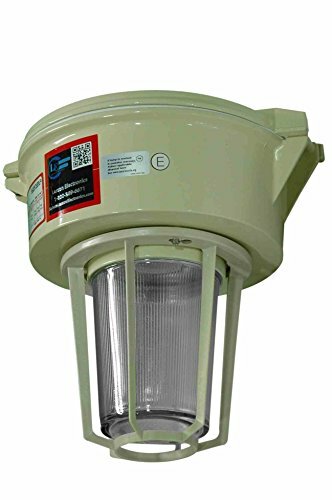 The lamp housing is weatherproof and constructed of non-sparking aluminum featuring a heavy duty, mogul base lamp socket, tempered and heat resistant glass dome and cast aluminum dome guard. This lamp carries a long lamp life rating of 60,000 hours and a fast hot restrike capability, reducing downtime and Replacement costs. This unit is available in pendant, ceiling and wall mount versions and includes stainless steel exterior hardware for added resistance to the Salt water conditions found in marine environments. This hazardous area light is U.L. Rated class 1 division 2, groups a, b, c and D and UL1598 listed for outdoor marine use. The integral multi-tap ballast is protected within the weatherproof housing and can be operated on 120, 208, 240 and 277 Volts. 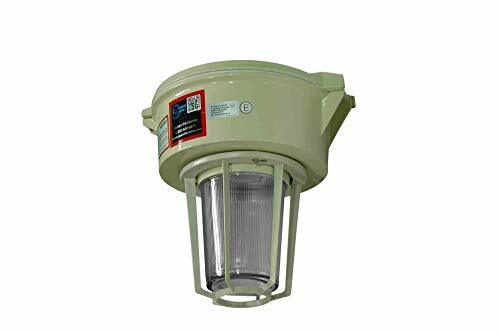 This lamp is suitable for use in confined spaces and areas where wet marine conditions exist. 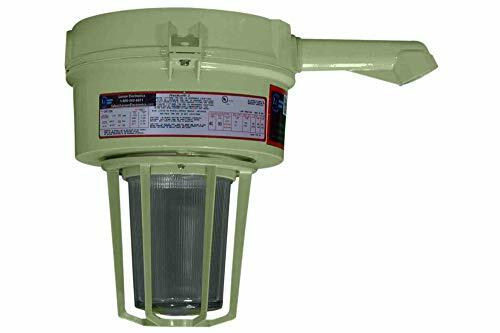 The multi-purpose floodlight design of this fixture makes it a popular choice for industrial and marine applications regardless of whether the locations are designated hazardous or not.